There are many ways to buy a used car. You can go to a dealer, browse through the newspaper classifieds or look on Craigslist. A few brave souls, in hopes of getting a sweet deal, go to public auctions. They may, in fact, find a car at a bargain price but there's also a good chance it's going to need a lot of work. According to Popular Mechanics, a public auto action is something the public should avoid. The magazine says the only consumers who should try to purchase a vehicle at a public auction are exceptional mechanics. What kinds of pitfalls await the innocent car buyer? Cars in too sorry shape to be traded in. Cars with so many miles the odometers have stopped working. Oh yes, a few flood cars thrown in for good measure. However, you may also find some repossessed vehicles, older rentals and cars seized by tow trucks and never claimed. RepoKar Auto Auction, a company that runs public auctions, says many of the sellers at these auctions are financial firms who want to sell the off-lease vehicles returned at the end of the lease period. But the nicer off-lease vehicles tend to show up at dealer wholesale auctions, which are rarely open to the public. That's where dealers compete for mostly late-model cars that can be detailed and put on the lot to be sold for a profit. There are also government auctions, which are usually open to the public. There, you will find government vehicles that have outlived their usefulness. Law enforcement agencies also sell confiscated cars and trucks at government auctions. Former auto auctioneer Steve Lang, writing on the automotive website Edmunds.com, says the world of auto auctions is a world the average buyer “enters at their own peril.” He warns that almost nothing is as it first appears to be. Since you usually aren't allowed to test drive the vehicles – or even start them – before bidding, a car in mint condition could have a blown head gasket or other issues under the hood. Lang says knowing who is selling the vehicles at an auction is critically important. If the cars have come from a bank or a new car dealer, there's a chance you might find a worthy vehicle. But if the cars have come from a used car dealer, expect to see a lemon parade. 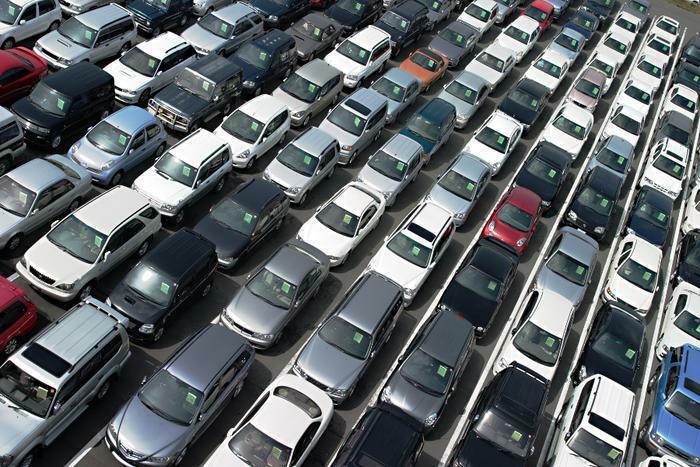 If a used car dealer can't sell a car on his lot, it's going to wind up at a public auction. Public auctions may also be places where vehicles donated to charitable organizations are sold. A donated vehicle might be a good buy, but often it isn't. Often someone donates a car after they've driven the life out of it and can't get enough to make it worthwhile trying to sell it. If you are determined to give auctions a try, it's best to attend a few without bidding. That's because, like many auctions, the action unfolds at a fast pace. It's easy to get overwhelmed. However, in the age of eBay, when people routinely bid on cars without seeing them, an auto auction isn't as intimidating as perhaps it should be. Automotive site Autos.com says it is true you can get a car for a very low price, but you should be concerned if it's too low. An amazing deal just may be too good to be true.